As a travel destination, Cabo San Lucas has much to recommend it. If you’re in the mood to party, this place is paradise, with plenty of cool bars and clubs to choose from, but it also offers some beautiful beaches, with spectacular rock formations, great surfing and coral reefs. Add to that excellent restaurants, whale watching and interesting little towns to visit just a short drive away, and you can see why the place has become so popular. 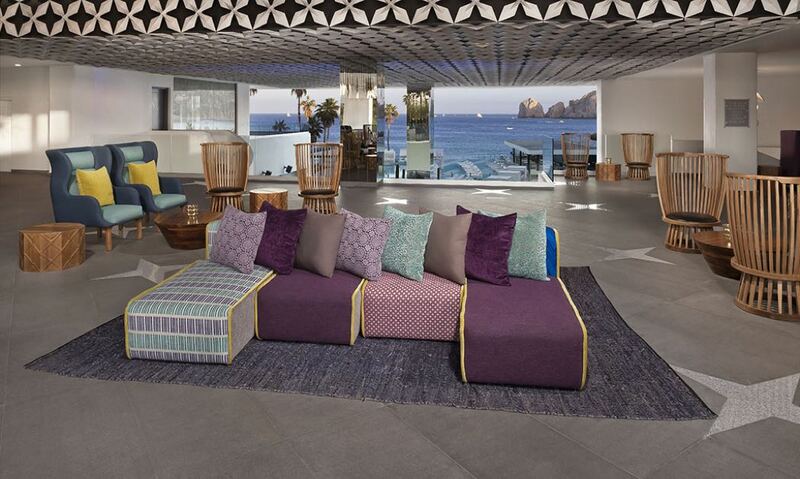 If all this sounds like your cup of tea, ME Cabo is the ideal luxury base from which to enjoy it. Several airlines, including British Airways and Delta Airlines, offer connecting flights from London Heathrow to San Jose del Cabo, Mexico. 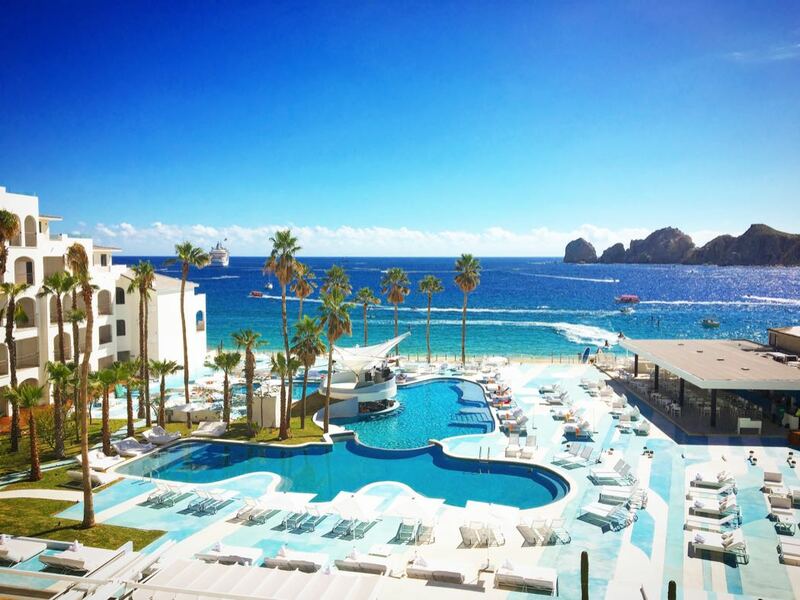 ME Cabo is located about a forty minute drive from the airport. 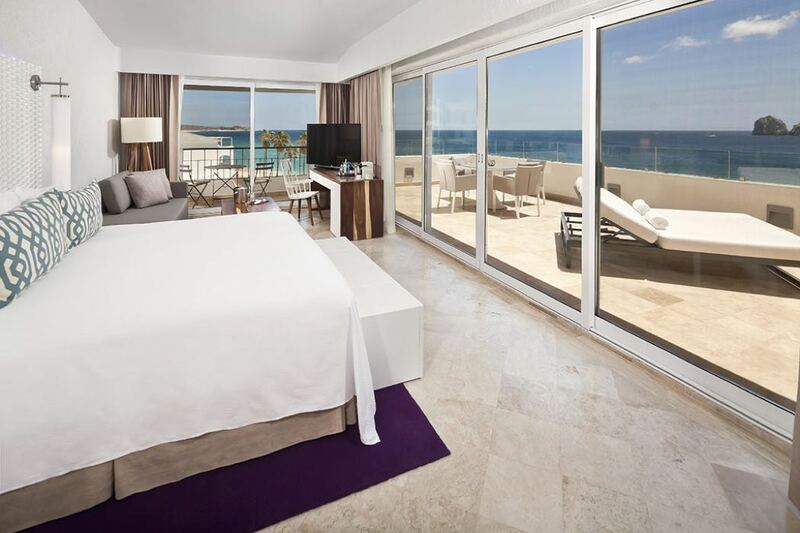 Part of Melia Hotels International, one of the largest hotel companies in the world, ME by Melia operates several contemporary resorts and urban hotels across the globe in destinations including London, Miami, Madrid, Ibiza and more. ME hotels are designed with the modern traveller in mind. 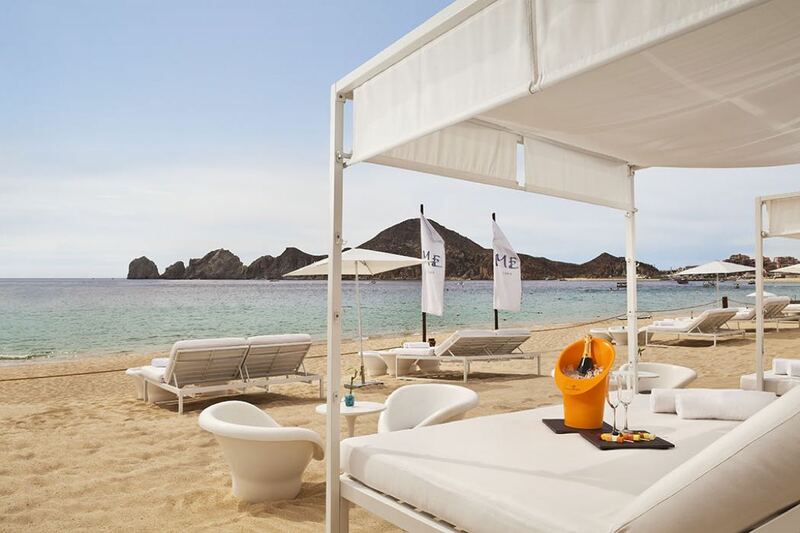 Me Cabo is an award winning lifestyle resort ideally located on the only swimmable beach (Playa El Medano) in Los Cabos, and is just a short walk from the marina as well as bars, shops and restaurants. It boasts stunning views of Land’s End and is close to some must see beauty spots including El Arco and Lover’s Beach. The main attraction of this hotel is its Blue Marlin Ibiza Beach Club and Dare Bar, offering guests relaxing weekdays and high energy weekends with a fun, party atmosphere. All rooms are light and airy and contemporary in design with fresh, simple décor. Air conditioning is standard throughout and all rooms have flat screen TVs with satellite channels and a laptop size safe. Guests will benefit from king size beds or two double beds with 300 thread count bedding, a fully stocked mini bar and 24 hour room service. Bathrooms boast rain showers, Algotherm amenities and bathrobes and slippers. Room Tips – Ask for an ocean front room for the best view, and a higher floor, furthest from the pool for the most peace and quiet. Guests can enjoy the Modern Mediterranean cuisine at Blue Marlin Ibiza restaurant, open every evening, or salads, sushi and more at The Deck, located right by the water. The Deck is open from 9.30 till 6.30 daily, but also offers the option of booking a private dinner under the stars – very romantic! When it comes to bars, you have several choices. 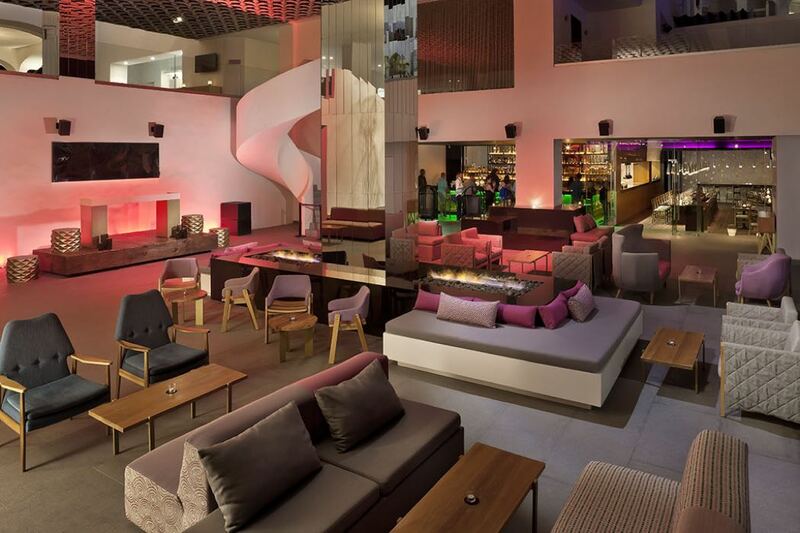 Dare Bar boasts cool décor and music, while the Wet Bar is definitely the place to be for pool parties. The Main Bar offers a place to chill out during the day, with stunning ocean views. A stunning two level pool oasis and deck are the highlight of this hotel, especially with their beautiful views of the ocean and Land’s End. Relax in a shaded poolside bed and listen to the DJs throughout the long sunny days, and enjoy pool parties on Fridays and Saturdays. If all that partying leaves you feeling in need of a little pick me up, head to the YHI spa where you will find a sauna, steam bath, two hydro massages and a gym. 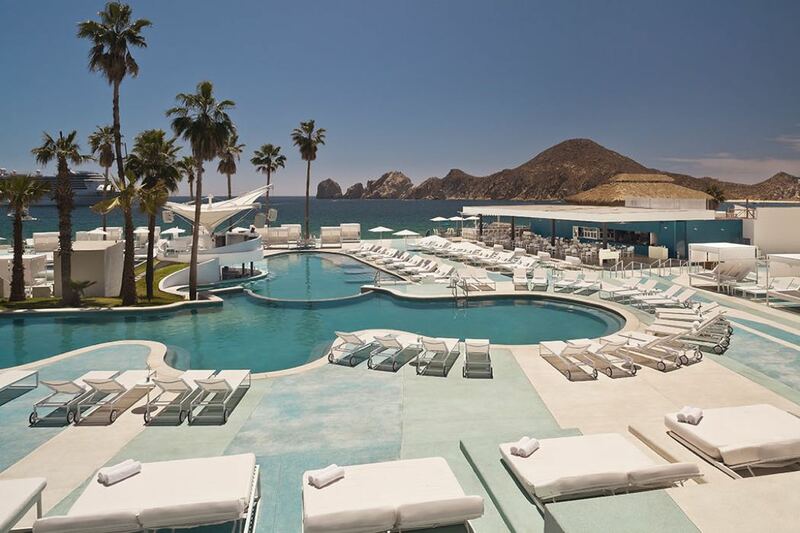 ME Cabo has a relaxed and laidback vibe, but with the beach club on site, weekend parties and resident DJs, it’s probably best suited to younger travellers or those looking to enjoy more of a party atmosphere, rather than families travelling with young children. 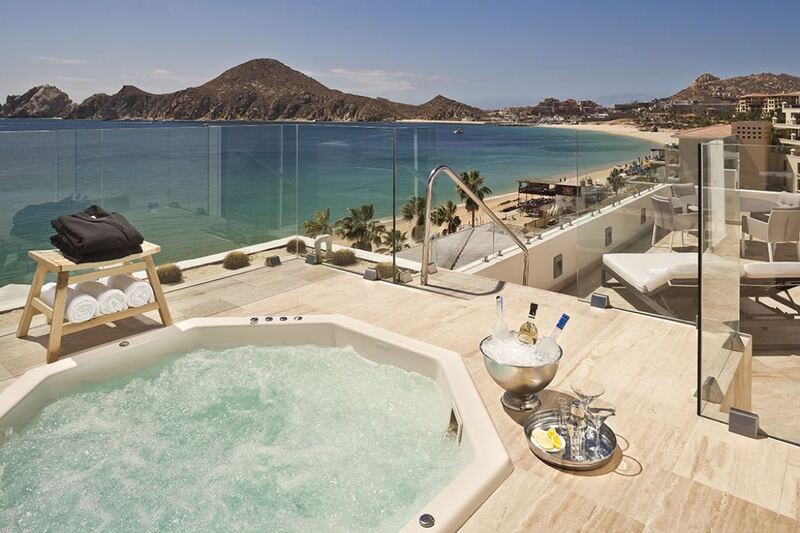 ME Cabo is the perfect luxury resort for those looking for a fun break away in the sun.